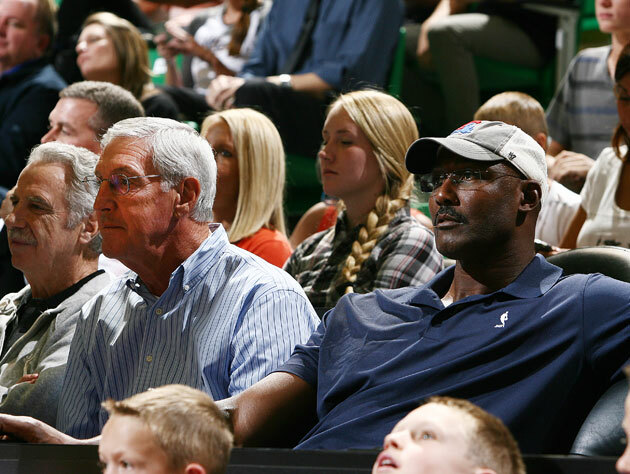 The Utah Jazz knew they were getting an irascible sort when they hired Basketball Hall of Famer Karl Malone to be their big man coach over the summer. Malone seemed to croak like a man in his 70s even in his late 20s, and that was the only facet of Malone’s game that was ahead of his time – the 1997 NBA MVP was in freakishly-good physical shape throughout his career, one that ended with Malone ranking second on the NBA’s all-time scoring list. "I'm not concerned with your elbow pads, your knee pads, all of your garb and your full body armor. What do you need all that for? Our soldiers need that in Iraq and they're doing a hell of a job for us. Take all that off! We don't need that. What I need you to do is show up and be ready to play. That's it. "I had one of my ‘bigs' today and he had body armor from his thigh to his neck. I ask him what he was doing and he said he was protecting himself. I said 'Who you protecting yourself [from]?' There's no sniper in this building! Man up! If you're hurt, see the trainer and play the game. "When I played, if you came out there with a sleeve on your elbow, I won't say 'I'm going to attack it,' but you're a wounded animal and I've got to take a stab at it. 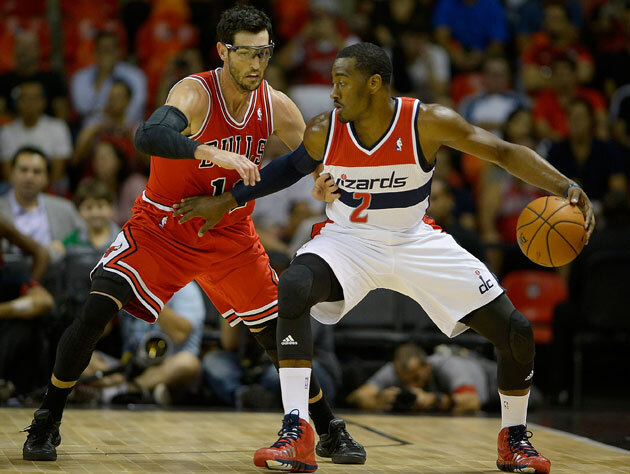 I like where we're at, but let's get rid of all that and play the game, encourage your teammates," Malone said. To be fair, though there have been some frightening defensive budget discrepancies during this country’s conflicts in Iraq and Afghanistan, the United States military isn’t exactly hurting for compression sleeves and elbow pads. The larger point is one Karl has both created with his own words, and own actions. Some 20 years ago, there weren’t a whole lot of Karl Malones banging and driving on the NBA scene. In 2013, though, with increased weight room time and a generation’s worth of smarts in place, more and more NBA players are at least approximating Malone’s stacked frame. They may not look like carbon copies of The Mailman, but quite a few players do have season tickets to the gun show. ... but some sort of protection. Malone isn’t on board, but you’ll also have to remember that this is the man who recently bought himself a mule, obviously looking for a kindred spirit. Even if a Jazz big man like Enes Kanter (himself a Malone acolyte, in terms of getting into knockout shape, and hitting the open water with a pole) needs the protection, Karl isn’t feeling it. Which is sort of the point of wearing that sort of protection. Someone should inform Karl about what he’s created, but that person should also attempt a tactful approach in speaking with the Jazz legend. Mules tend to kick, we hear.